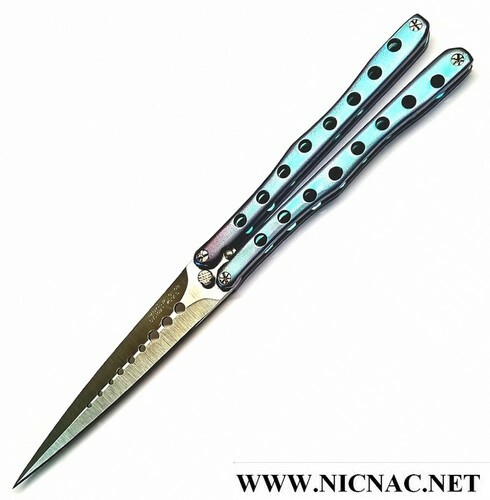 Rainy Vallotton Featherweight Butterfly Knife, Overall open length is 9 1/2 inches with a blade length of 4 1/2 inches. Closed the knife measures 5 1/4 inches. Handle Material is 6AL4V Tiatanium. Blade Material is Stainless S30V and weighs 3.4 ounces.